This amazingly lifelike plank wood wallpaper is pure trompe l’oeil genius. 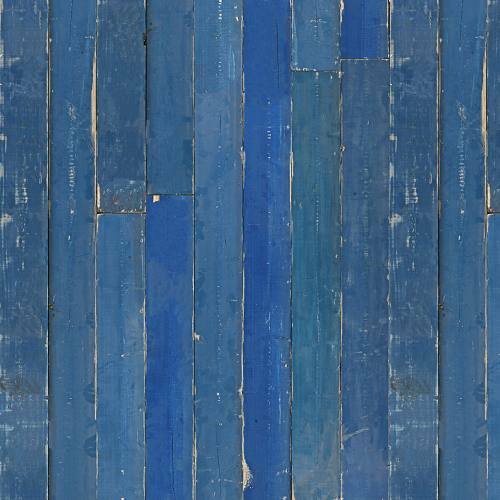 Blue Scrapwood, by Piet Hein Eek, features planks with a distressed paint effect in varying shades of aged and worn blue wood. The print quality is so good that it really looks like the wood is nailed to the wall. It will make a striking backdrop to a child’s bedroom or playroom and works fabulously with painted or natural wood furniture.